Features cross-platform play and voice chat with PC version. Guns of Icarus Alliance will launch for PlayStation 4 on May 1 for $14.99, developer Muse Games announced. Pre-orders are available today and include a 25 percent discount, and exclusive in-game ship figurehead and costume set. 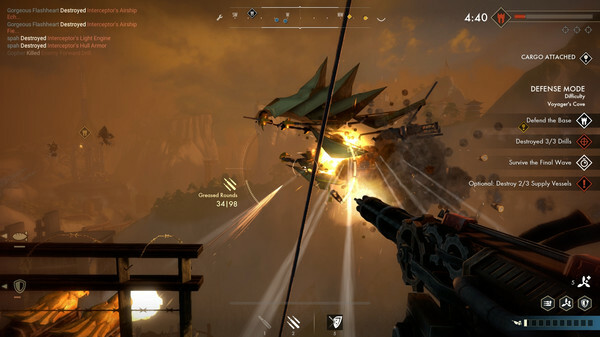 The PlayStation 4 version of Guns of Icarus Alliance will feature cross-platform play and voice chat with the currently available PC version.